This is a map of murders throughout the Bay Area. 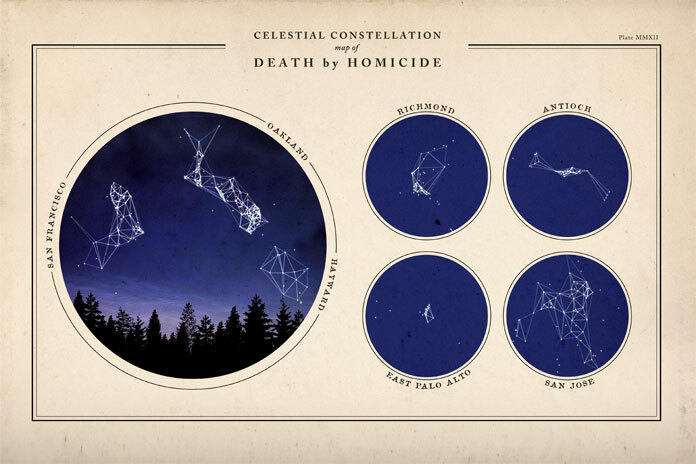 Constellations are formed by connecting homicides from 2013 that are in close geographic proximity to each other. 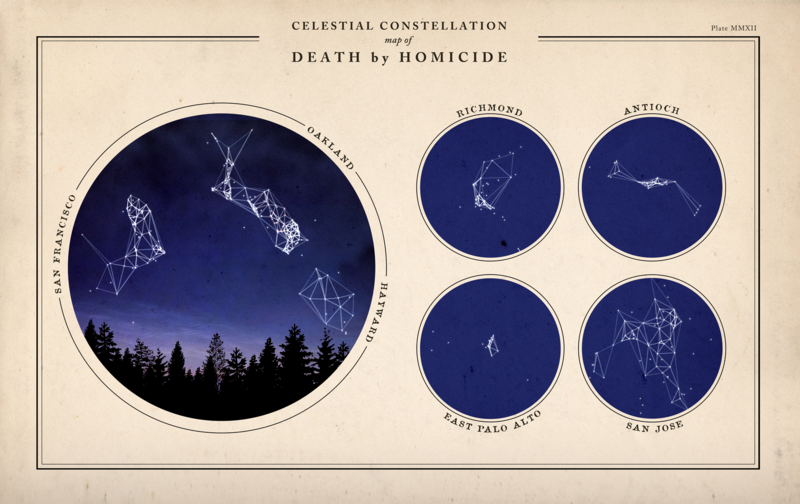 Homicides from 2014 are also layered on to provide a bit more context, although not used to form the constellations. Two weeks ago on the night of August 24, 2014 I was shaken awake by the 6.0 magnitude earthquake that struck Napa, CA. It was the largest earthquake to hit the Bay Area since the 1989 World Series quake. Where I was in San Francisco wasn’t close enough to the epicenter to do much other than wake people up. But while watching the reports start coming in on Twitter it became clear that up in Napa there was quite a bit of damage. Unable to sleep, I started downloading the data to understand what the difference was between what I had felt and what it was like right in the epicenter. 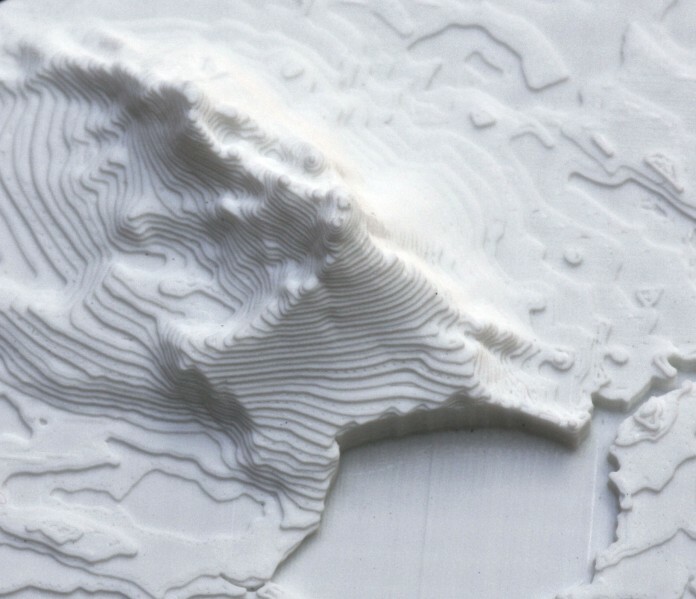 Over the past couple weeks I’ve been experimenting with 3D printing the shake intensity from the Napa quake. This is a map of Moore, Oklahoma. On May 20, 2013 an EF5 tornado struck this city of 58,000 people, killing 24 and injuring 377 others. The destruction within the direct path of the storm was near complete. 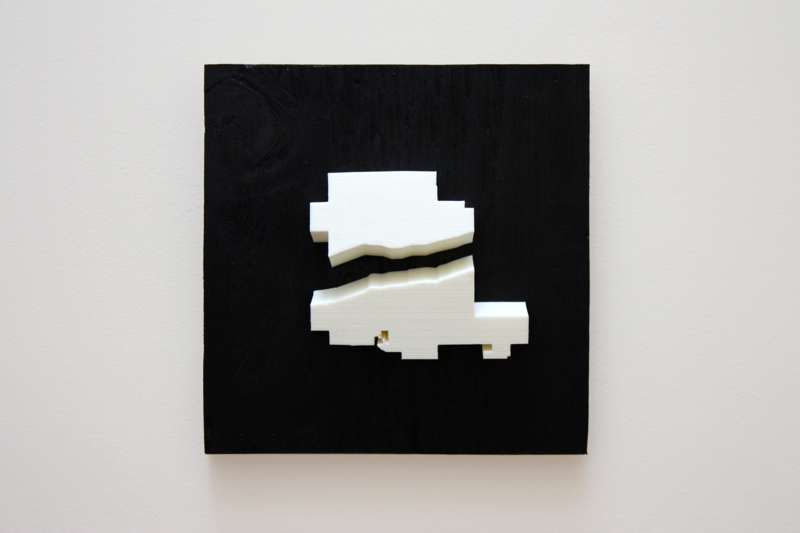 This piece focuses on the city boundary of Moore and the destruction that ripped right through the center of the town. The tornado track has been removed from the map, and the city has been split open. This piece is a representation of the January 2010 earthquake that destroyed much of Haiti. Laser cut out of different kinds of bamboo, it shows the shake intensity data radiating out from the epicenter near Port-au-Prince. 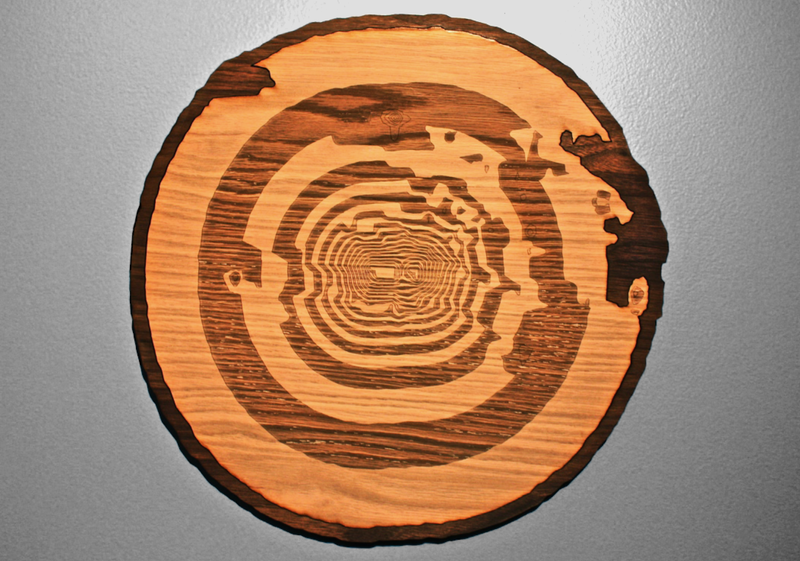 This devastating earthquake caused massive damage and an unknown number of deaths. Estimates were anywhere from about 80,000 to 300,000 casualties. Even this many years later it’s hard to know the full impact of this event. I remember watching the news for the weeks after this earthquake as they tried to find the dead and survey the damage.